Welcome landlubbers! Been a good ol’ while. Have you maxed your first ever character? 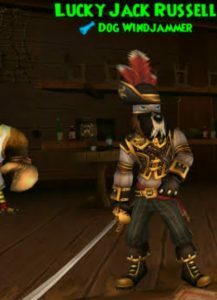 Are you a new pirate planning to sail the skyways and venture into Pirate101 with the other scallywags? 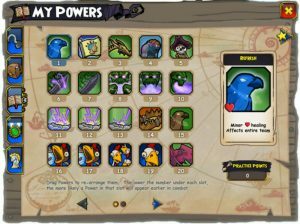 Are you planning to max another different Pirate to explore a different class? 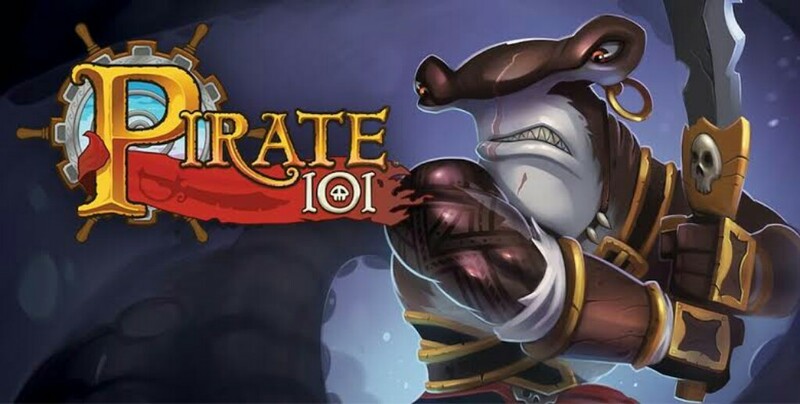 Then you shouldn’t miss this article as it shows the common mistakes any Pirate101 players falls into while playing for the first time. Let’s go with the first common mistake! Let’s agree, most of us obviously did fall for this common mistake. None of use knew that origins are actually useful later in game. Especially during our first time. 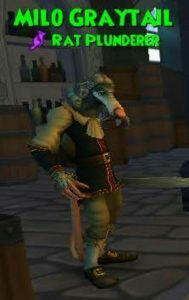 Luckily for myself, on my Swashbuckler (which is my first ever Pirate character I made in 2012 immediately when the game went live), I picked the “raised in Krokotopia” origin which turned out to be a one of the best origins. Krokotopia is also my favorite world and I’ve always wanted to see and imagined Krokotopia as a world for Pirate. Some others however, pulled a different origin. The bonus stat coming from it isn’t as good. Unfortunately “Raised in Marleybone” and “Raised in Mooshu” remain under buffed. Mooshu gives +5 Weapon Power and Marleybone +5 Accuracy. This is less a power/accuracy bonus of less than one percent. Why does your parents’ death choice matter? It determines which companion you’ll get to recruit later in game. If you regret having the Presidio companion you have, welcome to the club. This is another common mistake people fall for when first creating their pirate. The curiosity of which death gives which Presidio companion is tempting. 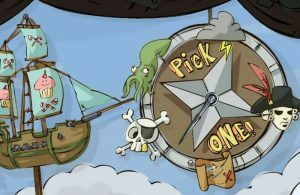 Your Parents’ Death choices reflects on who will accompany your pirate during questing on your storyline to El Dorado as they do talk and have their own lines when questing so choose wisely who’ll be your shipmate from these 5 while you’re on your way. PvE wise you’re indeed free to use whatever suits you based on who is your favorite and such. But if you’re going for PvP, then be dead serious not to use them as there’s better choices. Here’s what the different death choices give exactly, from best to worst! You get to recruit Lucky Jack Russel! Luck Jack Russel is one of the greatest companions to get from the Presidio 5. I personally love him. His choice of talents is great and his base critical chances are incredibly awesome. He’s the right companion for the right job in any fight. This is choice #1! You will get to recruit Milo Graytail as a companion! This French companion has an incredibly wise choice of talent combination. His ability to train Vengeance Strike 3 to stun your enemies is what makes him a great. Especially for Swashbucklers, he’s a companion unlike any other! Milo is the second best companion out there! A squid attack allows you to recruit Birgus Latro! Birgus is the tough crab for the tough job. He can tank great enough with his armor and he’s somehow viable to be used in battles. He’ll impress you enough to give you reasons to use him in certain battles! “Blasted by the Armada! gets you to recruit Gaspard Devole later on! 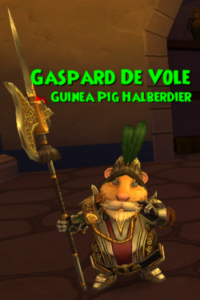 The trees wrecker in PvP, Gaspard is that cute guinea pig that’ll always impress you in fights with his abilities and of course his sharp swings everywhere in the air with his axe. He’s semi decent somehow but there are better choices. “Ship Mutiny” allows you to recruit Dead Mike! His weapon isn’t the best and his look isn’t the finest. However, he will impress you with his look as a zombie. Great enough to put some might and fear in your enemy’s eyes. But seriously, you probably should not use him due to his random pool of talents. Dead Mike is underpowered. And please. For The Spiral’s sake. Now that you know every Parent death and which companion does every incident give, do not give three of your characters the “Blasted by the Armada” Choice like me when i did that horrible mistake. One of the GREATEST common mistakes is recruiting your Companion at very early levels. This is not advisable, because it basically prevents you from enjoying the recruitment of a Level 71 companion at the cap level of 70. That’s right! 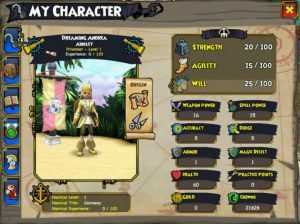 Companions in Pirate101 can be recruited more at higher level, even higher than your Pirate’s level at max levels. For example, say your Pirate is at level 70. He recruits Fan Flanders. You’ll get Fan Flanders at level 71 instead of 70! 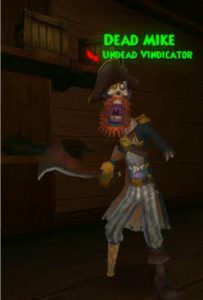 Some other companions can recruit 3 levels above your pirate’s level. You can recruit a Level 73 Nausica for example. 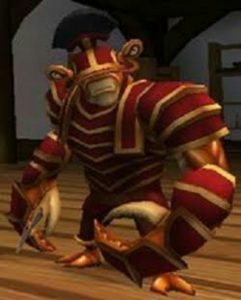 Or a Level 73 Hoodoo Monkey companion. This is beneficial for both PvE and PvP. 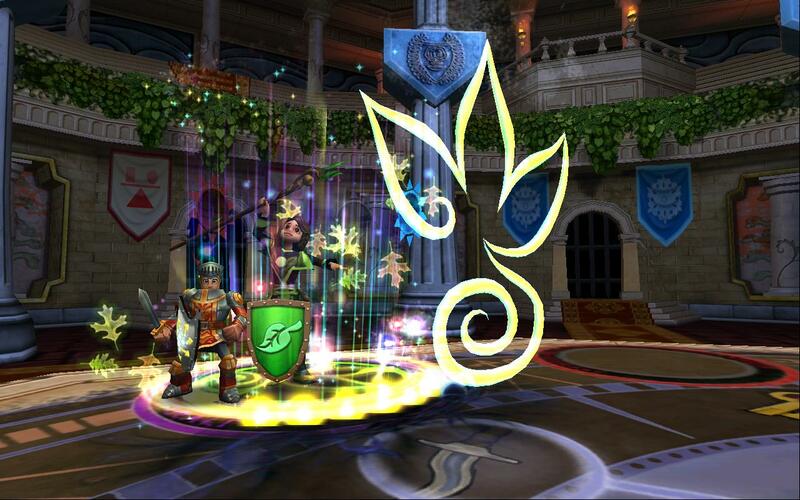 It improves your companion’s stats and allows you to beat your enemies with a companion with better stats effect. 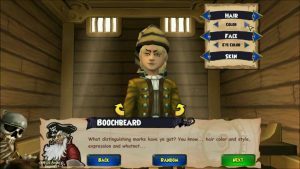 Make sure not to recruit your Class Companions such as Fan Flanders, Peter Quint, The Marchioness, Chantal Livingstone and Carcarius until your Pirate reaches level 70 for better companion stats. Same thing goes with any Bundle companion or Crown Shop Companions. We all unfortunately fall into this trap when first make a new character. All of us have wasted our training points blindly at any other side class or any other random talent without looking any further. Maybe you’re a Privateer and you trained shooty talents. Or you’re using Musketeer trap powers on a Swashbuckler pirate. Then, you end up regretting the entire process. Probably you even get to the point where you spend crowns in order to reset your choice. A piece of advice is to save all your Practice Points. Don’t train anything until you max your character! When questing, don’t forget to do Zeke’s Practice Point quests. They’ll help you a lot in getting powers and talents you’ll definitely need. Get to understand the basics of every power and talent before you train anything. This will prevent you from regretting it in the long term. As we’ve seen many times, many people mess things up and conflict their character by using the wrong weapon for their class. A Privateer could be using a bunch of pistols, or a Swashbuckler using a Privateer weapon, etc etc. The choice for your class weapon is obvious when you first create your character. After all, you are given a weapon to start questing with that’s obviously meant for your class talents and powers. What can I use for my class, you ask? That’s based on your class’s main boost and focus. 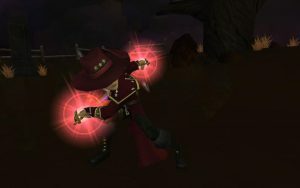 For example, Swashbucklers use Agility. This means you need an appropriate weapon that boosts Agility. 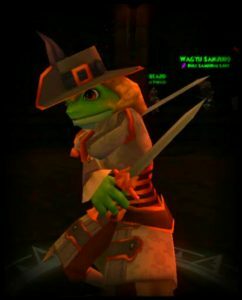 As you level up and train talents, your Swashbuckler trains Stabby weapons 1, 2 and 3. This means you need a Stabby weapon to use. → Use Shooty Weapons with 4+ Range for better sight to reach your enemies quicker. → Use Slashy/Smashy weapons that boosts your Will (Be aware that some slashy smashy weapons just boost from strength, don’t use these). Or Staffy Weapon (if you’re ranged Privy) or Staffy/Slashy Weapon if you’re using hybrid weapon. → Uses ONLY Staffy Weapons. Once you hit the done button, there’s no turning back unless you create a new character. 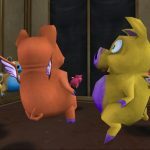 Unlike Wizard101, Pirate101 doesn’t have a Magic Mirror yet. The only thing that you can change later is your Flag. So be careful when picking the details for your character! Take your time when first creating your character. It isn’t a race. You’ll be using this character on many many adventures and it’s best to make sure things are going well in terms of look. Even if it’ll take you hours to create your characters like how it took me.. But trust me, still worth it. 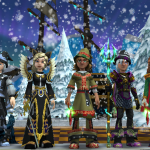 With that, our article comes to an end and you shall no longer fall in the common mistakes that the majority of the Pirate101 Players make. At the end of the article, which common mistake did you make? Is it one of these mentioned up there? Is it something different? Another huge mistake….using training points to try to keep your companions levels up. I spent so many needlessly when the game first came out. Later we realized that it’s better to save them until you can train your companions two or three levels each time you use one. Raised in Marleybone is an accuracy boost of 5%. Accuracy itself is a percentage, IIRC the hit formula is Accuracy + 75 – Dodge = %chance to hit. It doesn’t matter if you have 10 accuracy or 2000.